System loan growth in May moderated to +0.4% MoM/+5.1% YoY (Apr: +1% MoM/+6.4% YoY), in line with our expectation. Our loan growth assumption for Singapore banks is +6% YoY for FY17, as banks stand to benefit from the recovery in the domestic economy. We see upside risk to our assumption if the momentum is sustained. 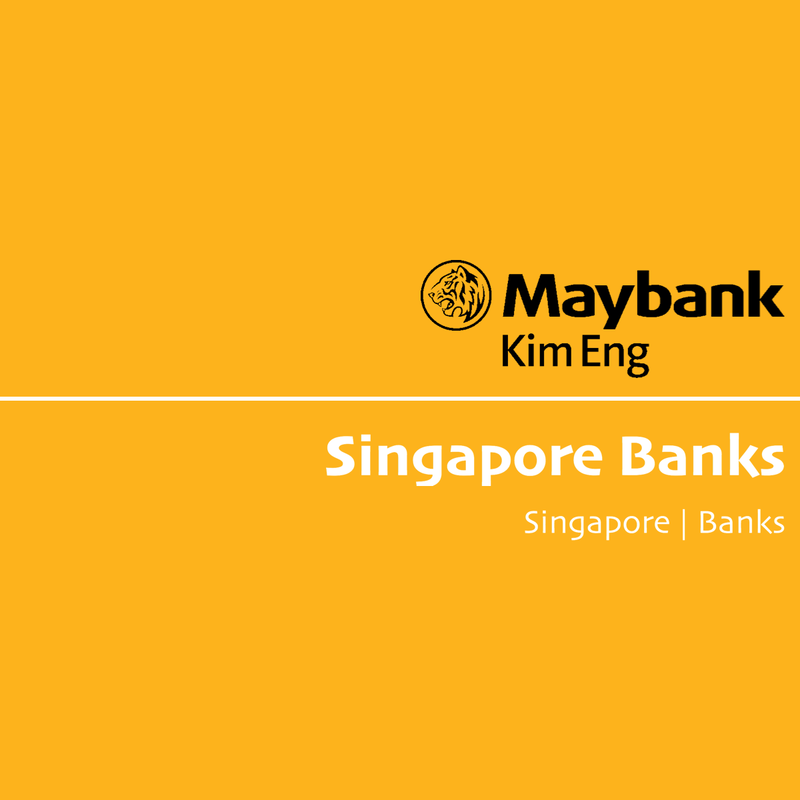 We think it is feasible for Singapore banks to reach their guidance of mid-single digit loan growth for FY17. As at 1Q17, the banks’ loan growth in Singapore (as a proxy) was between 6-8%, slightly higher than the system’s. Corporate loan growth moderated to +0.8% MoM/+6.6% YoY in May (Apr: +1.1% MoM/+7.8% YoY). The increase in loan growth was led by lending to Financial Institutions (FI), at -0.1% MoM/+19.1% YoY. YTD, only the FI and Business Services (BS) sectors registered double-digit loan growth. The recovery in non-oil re-exports (proxy for wholesale trade services) is consistent with the increase in lending to General Commerce (GC), +2.9% MoM/+6.4% YoY. Manufacturing loans contracted, at -2.2% YoY. Also, lending to Transport, Storage, Communication (TSC), Others, Professional and Private Individuals (PPI) and BS sectors moderated on a YoY basis. Consumer lending eased to -0.6% MoM/+1% YoY from Apr’s +0.7% MoM/+2.5% YoY. Despite some surprise revisions to property cooling measures by the government in Mar, housing loan growth has so far remained largely stable at +0.2% MoM/+4.1% YoY. System deposits grew +0% MoM/+4.1% YoY in May (Apr: +0.3% MoM/+5.2% YoY). Domestic Banking Unit (DBU) deposit growth was driven by CASA deposits, which grew +8.8% YoY. Banks continued to pay for sticky CASA deposits and offer less aggressive FD promotions (see CASA: Good or Bad?). System LDR is now 100.1% (Apr: 99.7%) as loan growth outpaced deposit growth. System LDR is likely to stay at above 100% as loan demand recovers. Maintain NEUTRAL on Singapore banks. Singapore banks are currently trading at ~1.1x forward P/BV. Valuations appear to be fair in view of tail risks from O&G and stable NIMs. DBS remains our preferred pick as we are positive on its ability to manage liability costs to drive pre-provision profits.